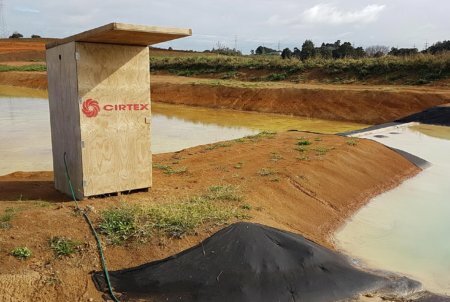 The Cirtex® Floc Shed is a rainfall activated device to dose the correct volume of flocculant into a sediment pond or decanting earth bund during a rain event. Flocculation is a method of enhancing the retention of suspended sediment in earthworks runoff. 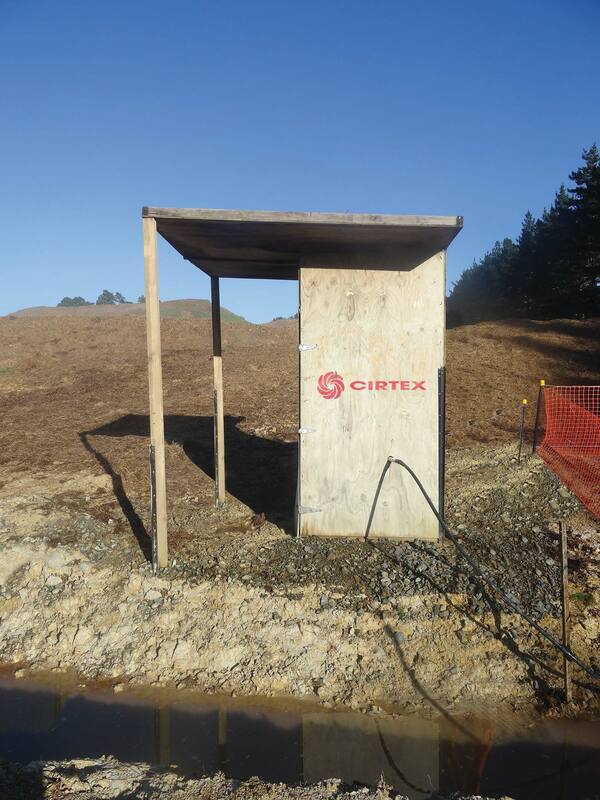 Liquid flocculant is added to Sediment Retention Pond inflows via the rainfall activated Cirtex Floc Sheds. 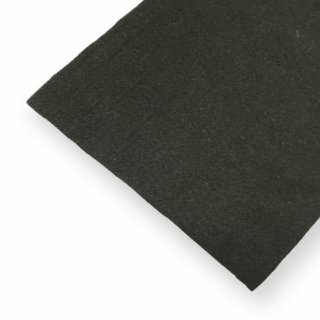 The flocculant causes individual particles to be destabilised (i.e. 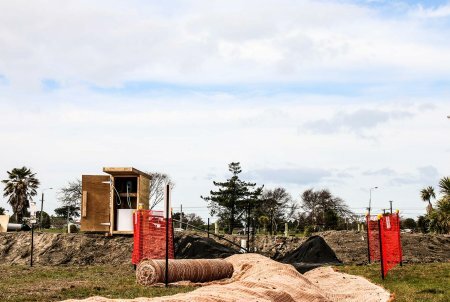 neutralising electrical charges that cause particles to repel each other), accelerating the coagulation and settlement of particles to ensure the discharge from the sediment pond or decanting earth bund meets the required clarity standards. 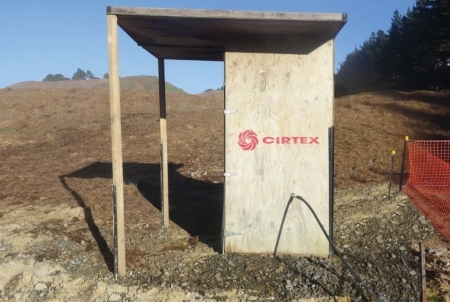 Cirtex Floc Sheds are a simple, robust and cost-effective tool to allow the efficient flocculation of Sediment Ponds. 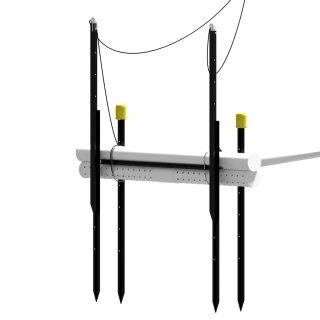 They are easy to set up and maintain, providing full visibility of all the working parts, allowing any issues or potential issues to be picked up by performing a simple inspection. 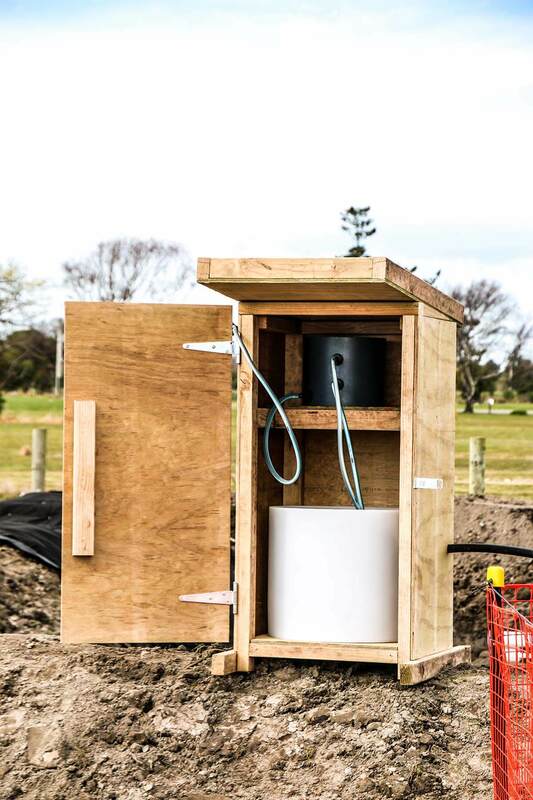 The unique self-draining displacement tank allows it to be drained by simply turning on a tap, preventing the need to bail or pump the water. 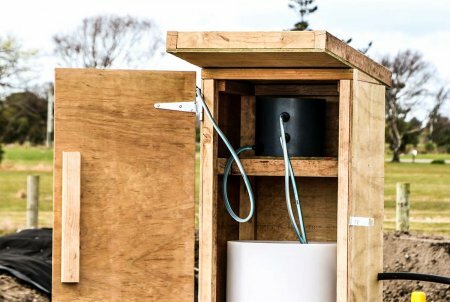 Try our interactive Floc Shed system. To treat sediment laden runoff to an extent greater than standard sediment control practice. 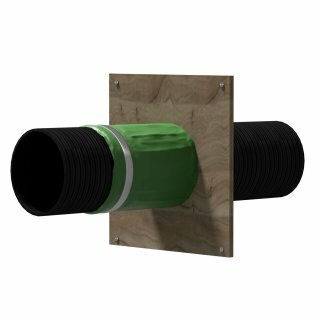 To reduce the volume of sediment leaving the site, thus protecting downstream environments from excessive sedimentation of water quality degradation.